It’s a little-known chapter from the worst financial crisis since the Great Depression: In 2009, shortly after the housing market crashed and the markets melted down, the owners of a small community bank in New York City’s Chinatown discovered fraud within their loan department. The bank’s owners, the Chinese-American Sung family, fired a loan officer — and reported the fraud to their regulators at the federal Office of Thrift Supervision. But two-and-a-half years later, the bank was accused of mortgage fraud by the Manhattan District Attorney’s Office — making Abacus Federal Savings the only U.S. bank to be prosecuted in relation to the financial collapse and the first bank indicted in New York since 1991. Why did Abacus face charges, while the biggest banks on Wall Street all avoided prosecution for fraud related to the sale of bad mortgages? That’s the question at the heart of Abacus: Small Enough to Jail, the newest film from acclaimed documentary director Steve James (Hoop Dreams, The Interrupters). 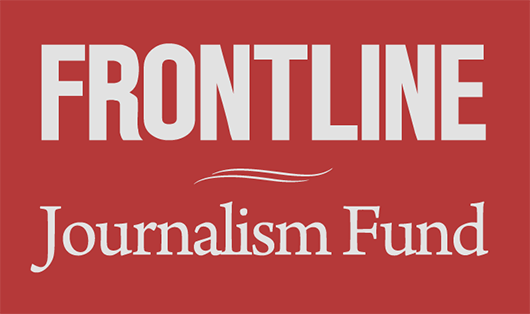 Fresh off of a robust international film festival run and national theatrical release, the documentary has its national broadcast premiere tonight on FRONTLINE. 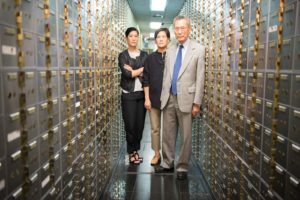 In vivid detail, Abacus chronicles the Sung family’s quest to clear their names, the district attorney’s case against the bank — and how 19 of the bank’s ex-employees, largely immigrants, were treated by the justice system. In the above clip, go inside the day of the indictment, when 12 ex-employees of the bank who refused to plead guilty were arraigned, handcuffed to each other, and in the words of one of their attorneys, “herded like cattle” down courthouse hallways. “Reporters in this town were treated to this extraordinary photo opportunity, this almost Stalinist looking chain gang” of Asian Americans, says journalist Matt Taibbi. The Manhattan District Attorney, Cyrus Vance, Jr., says there were security issues behind the decision to march the former employees through the court’s hallways in handcuffs. “It was very unfortunate, but it happened,” said Vance. But others who were there say the move was designed to humiliate. “They actually staged it so much so that three of the people that were in that chain had already been arraigned, had already posted bond and were out awaiting trial,” investigative journalist David Lindorff says in the above clip from Abacus. For one observer, the scene was particularly personal. “I had never seen that in my entire time at the DA’s office,” says Chanterelle Sung, whose father, Thomas, is the bank’s founder. She had worked at the office as a prosecutor for seven years — in the very division that would end up prosecuting her family’s bank. Get the full story on the case against Abacus, how the trial played out, and what it all says about America’s financial and justice systems in Abacus: Small Enough to Jail, premiering Tuesday, September 12 at 10 p.m. EST/9 p.m. CST on PBS stations (check local listings) and online. A Sneak Peek at "Abacus: Small Enough to Jail"